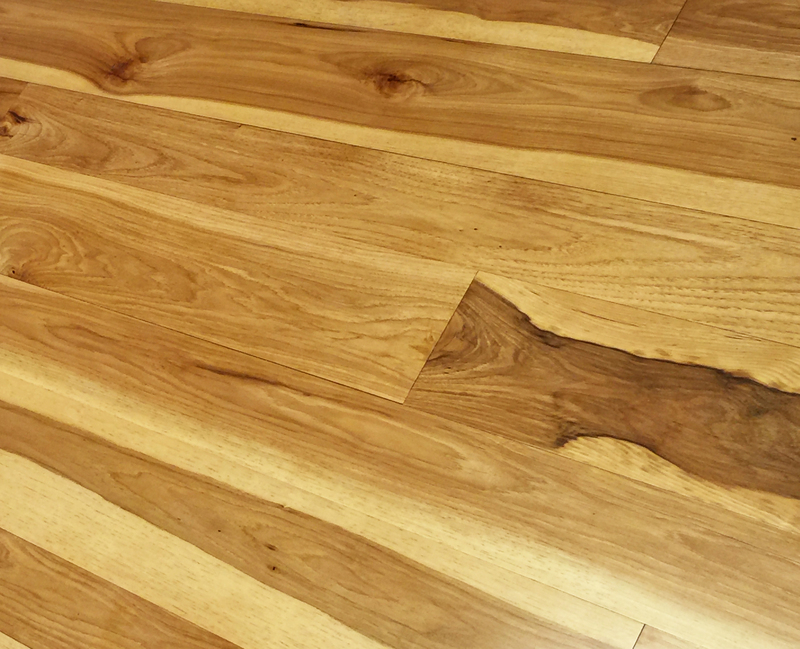 Our traditional wide plank Hickory is an attractive flooring choice. Featuring the highest density of any North American hardwood, hickory will stand up to high traffic and use. A vibrant range of light brown heartwood, creamy white sapwood, along with a tight grain make this a floor that is versatile enough to be use in a log home or a modern loft. Our select grade hickory will have pin-hole knots, tight grain with varying grain patterns and color variation. Our Sawyer’s Cut grade has sound character, mixed grain patterns and a varying color. We also offer a Sawyer’s Cut grade saw kerf that contains the same characteristics as our Sawyer’s Cut grade but will have a rustic circle sawn face, reminiscent of the antique circle saw mills. Hickory is a domestic hardwood found in the eastern part of the United States. Hickory is rarely found in pure stands, commonly found scattered throughout hardwood woodlands in low lying areas where moist soil is found. Although found in the Northeast, most of the quality timber the Bingham team sources is from the mid-Atlantic states.